Your retirement is but a mark of a happier phase of your life, keep that in mind. Boss, congratulations on retiring! We hope that you are able to relax at your house. Now you stop looking at your watch, thinking about the time you lose every second. Start making a plan of what you will do because the rest of your life starts today. 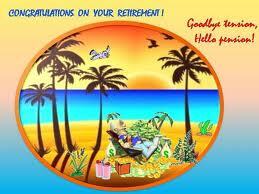 You get additional time now that you are retired and that is the just the best part of it. No more sleepless nights because of deadlines, starting today you can actually rest. There are things in life that only starts once you have retired from your work. When you retire, you miss the work you used to do as it never gets out of your system. You get to spend more time for yourself and less time about anyone else nowadays. Come on and just have some fun, you are now free to do just whatever you want.